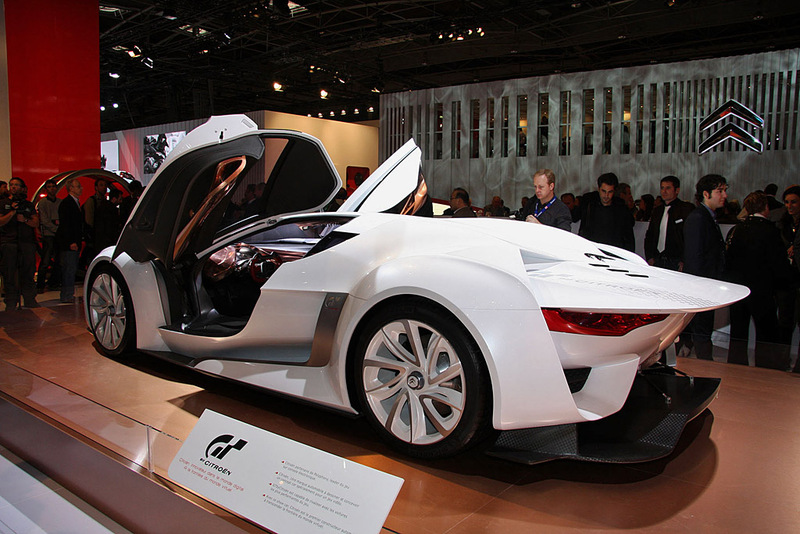 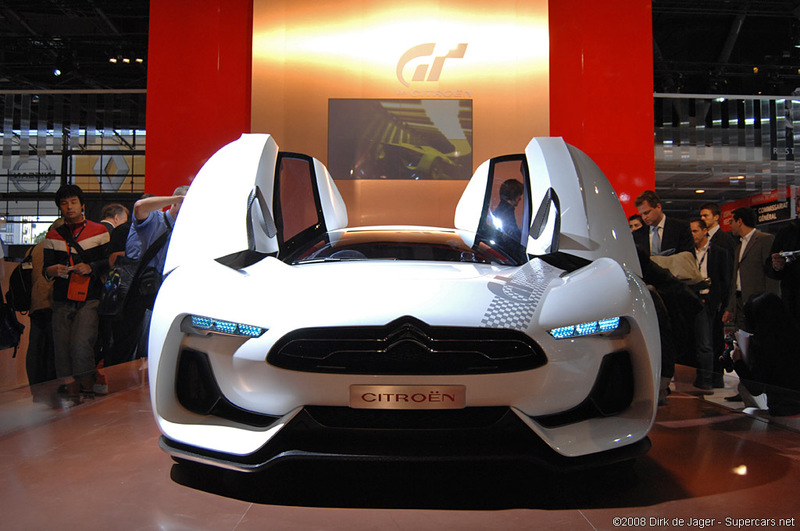 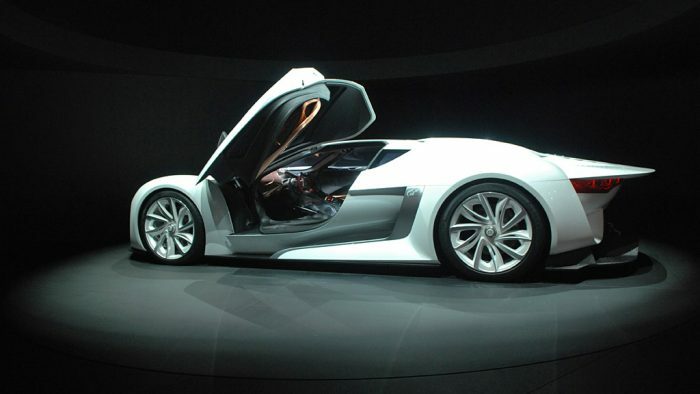 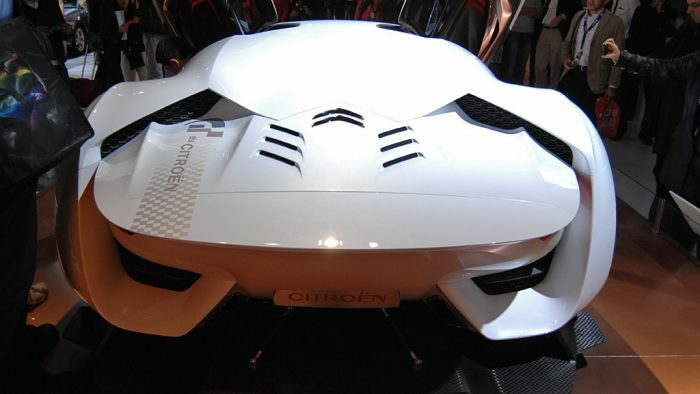 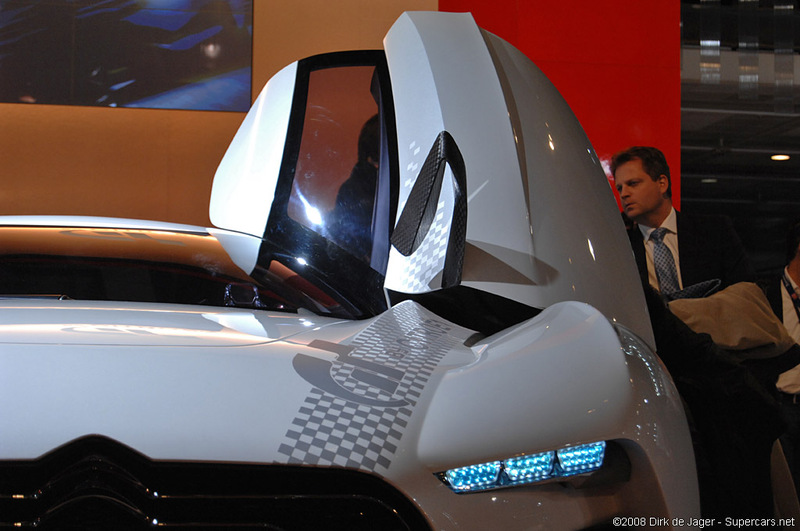 With GTbyCITROËN, a show-car presented at the 2008 Paris Motor Show, Citroën becomes the first vehicle manufacturer to cross over to the virtual worlds: An original take on a road car, GTbyCITROËN is a style replica of a vehicle from the digital world. 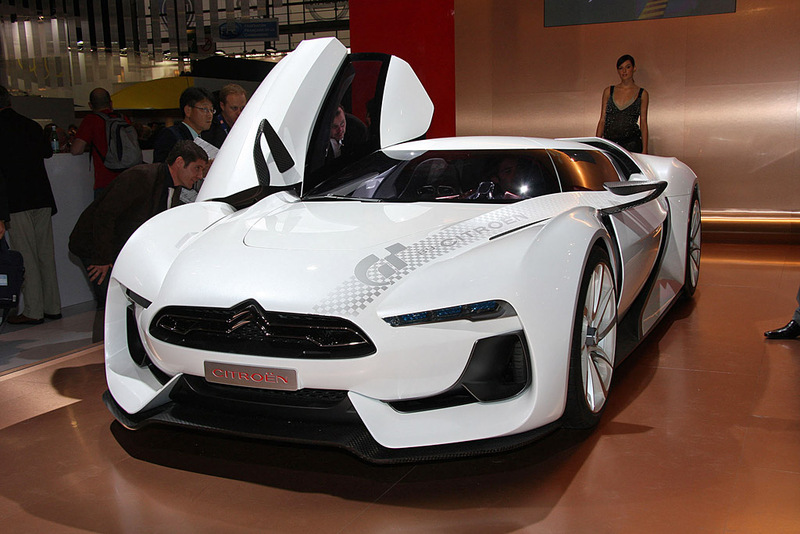 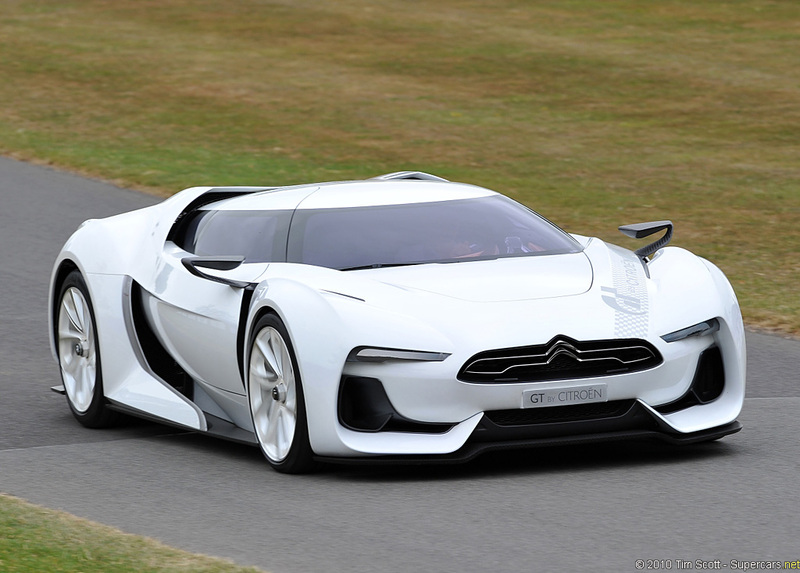 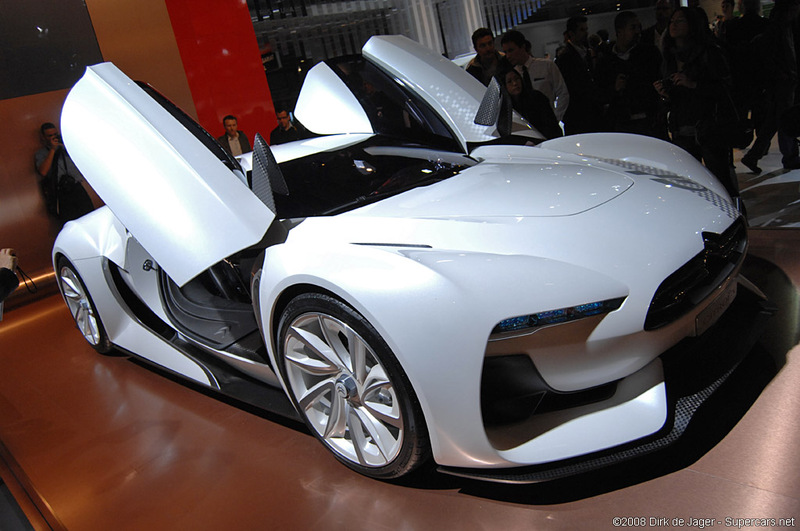 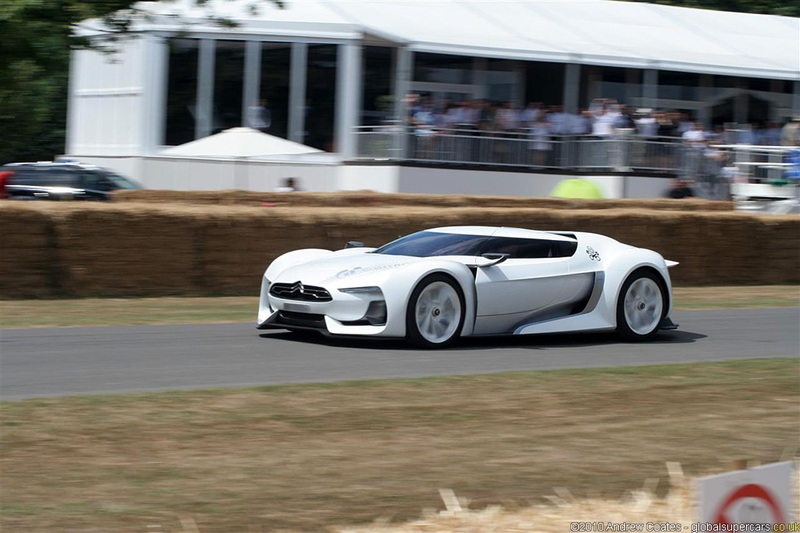 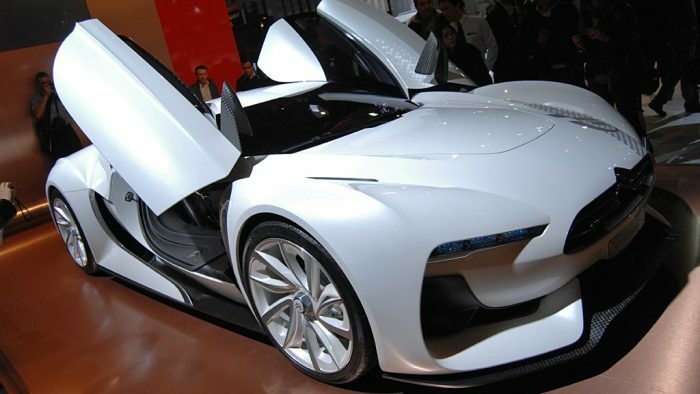 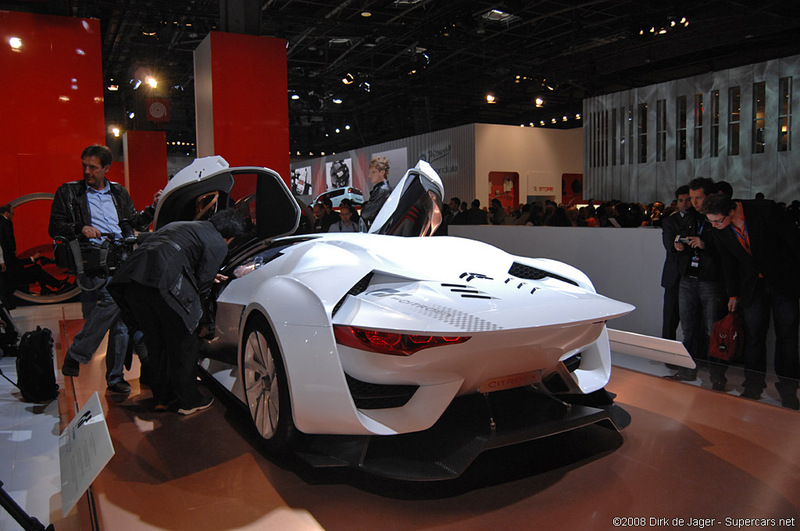 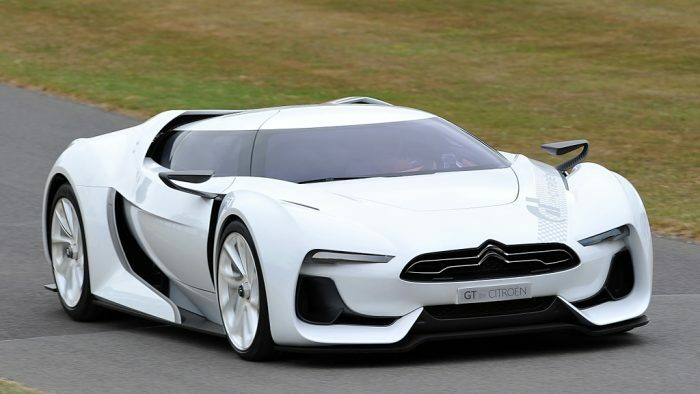 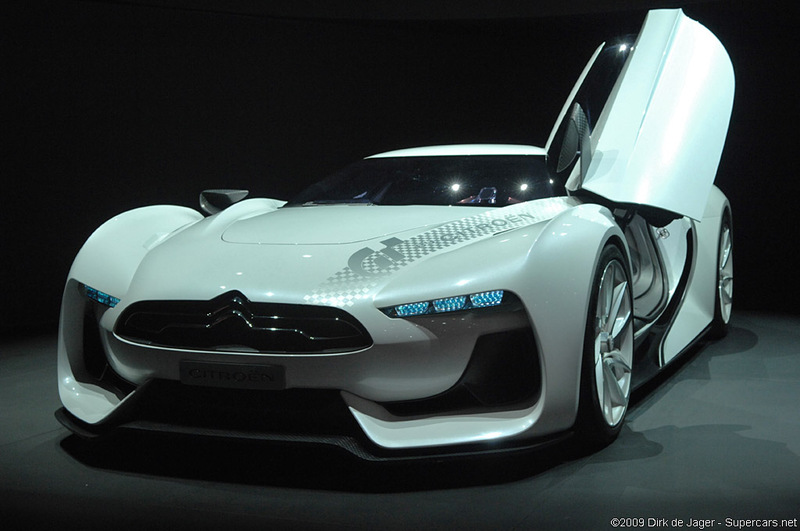 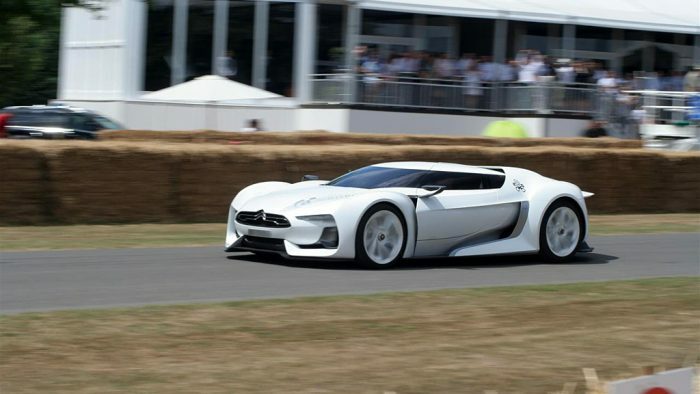 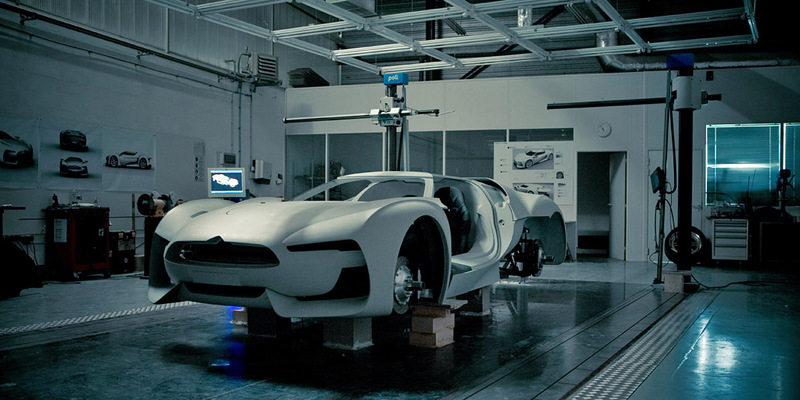 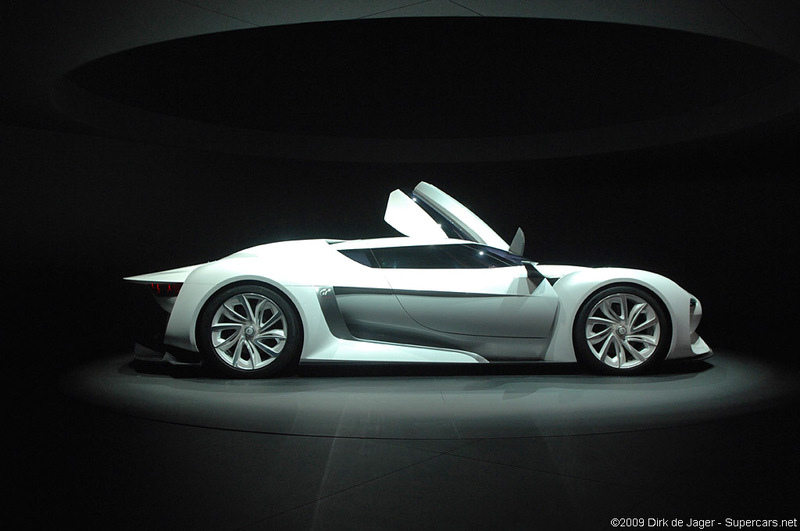 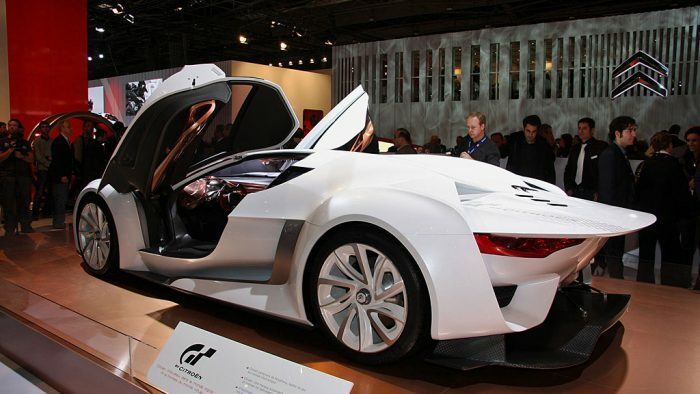 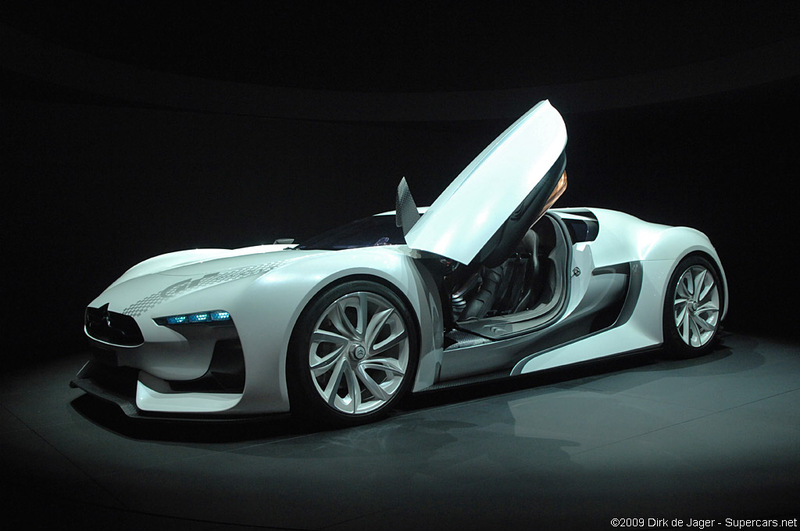 The car is the result of a partnership between Citroën and Polyphony, designer of the driving simulation game Gran Turismo 5. 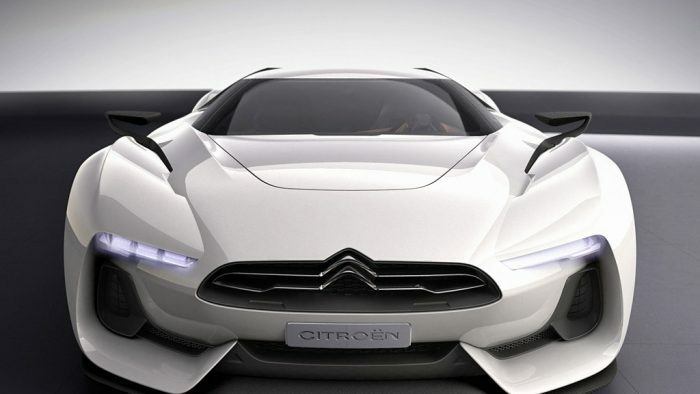 The design of GTbyCITROËN reflects a quest for optimal aerodynamic design. 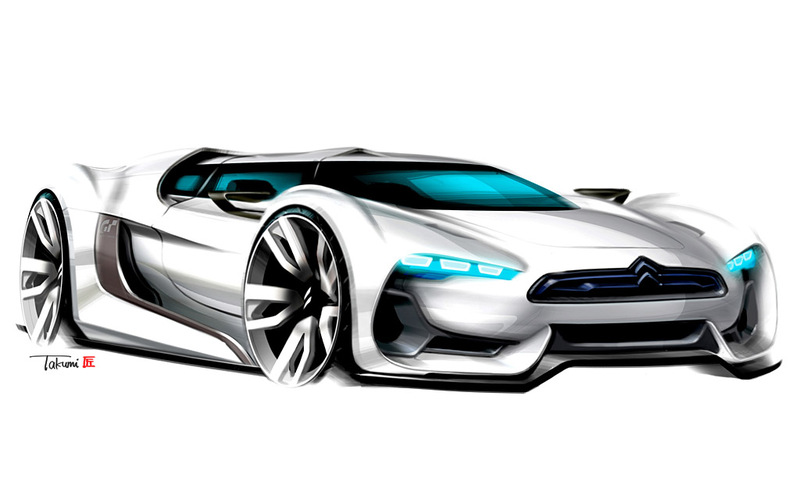 The show-car is a vehicle of flowing, taut lines, stretched to the extreme. 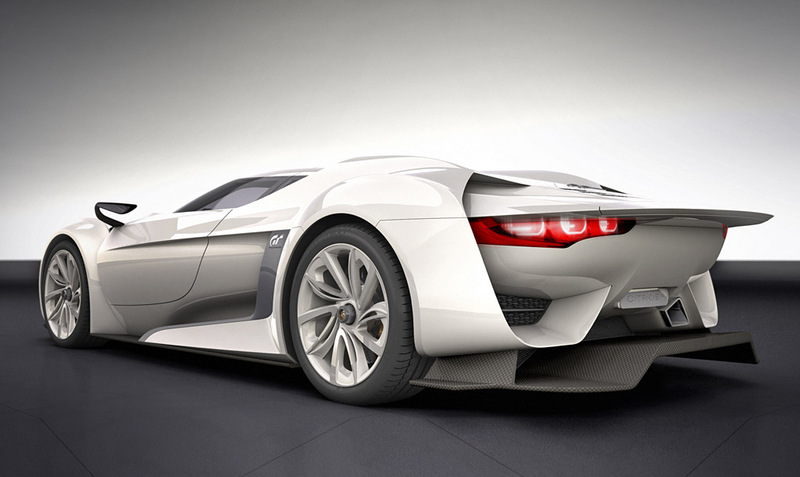 The cleanly drawn sides, ribbed at the top, and the pearlescent shade of the bodywork enhance the vehicle’s sleekly muscled looks. 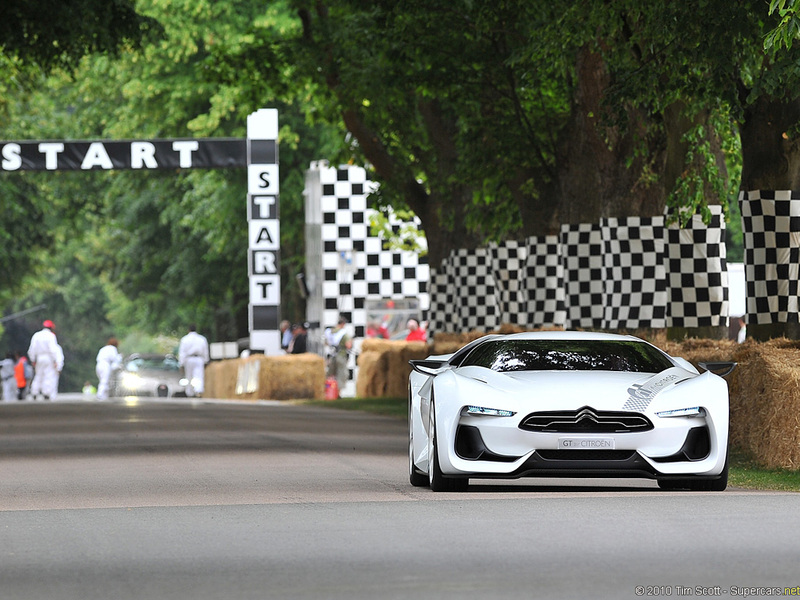 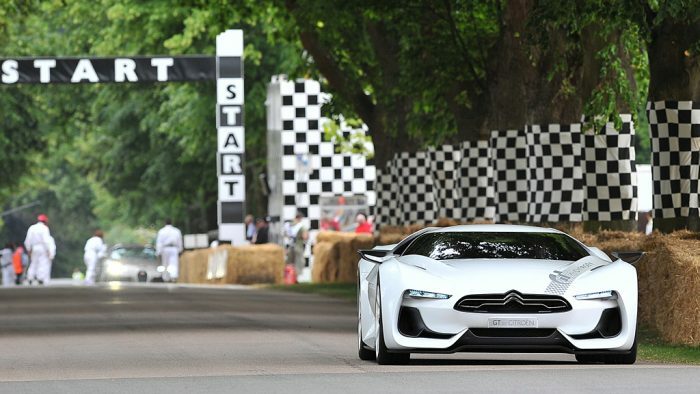 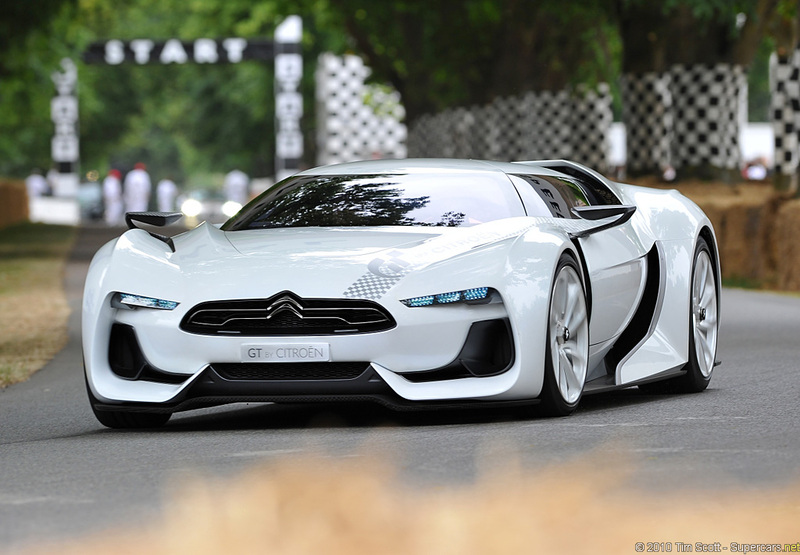 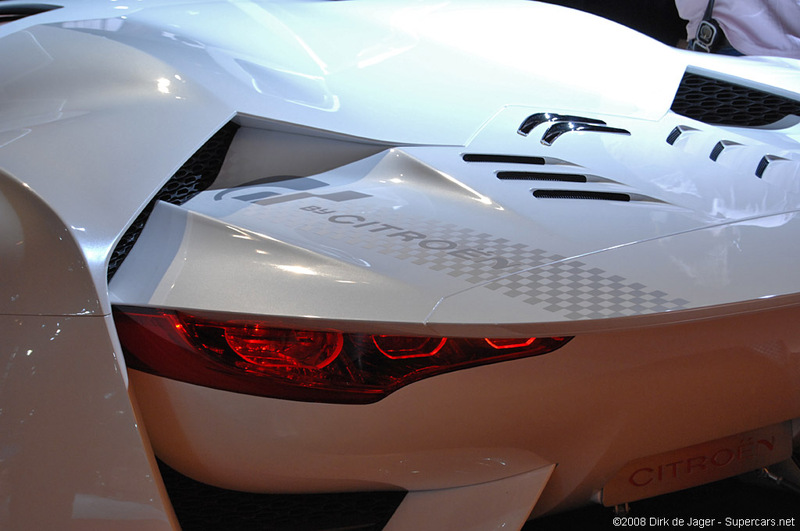 GTbyCITROËN is geared to the world of motor racing, with its dynamic styling, sculpted lines and sharp graphics. 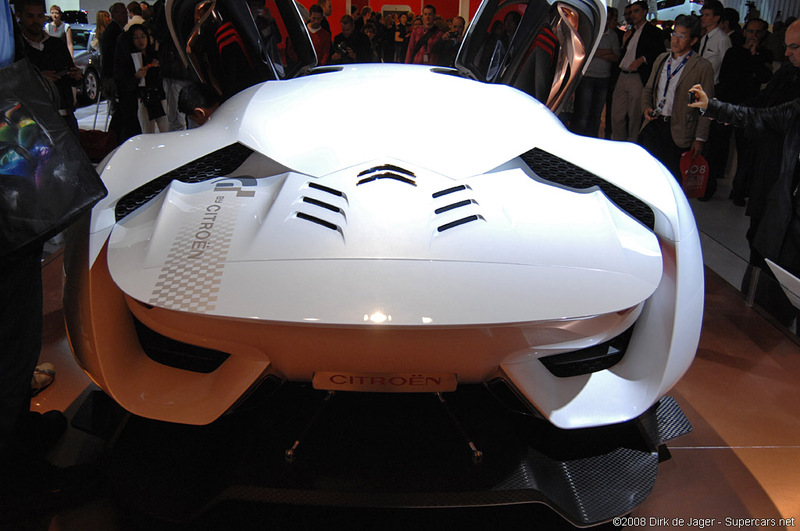 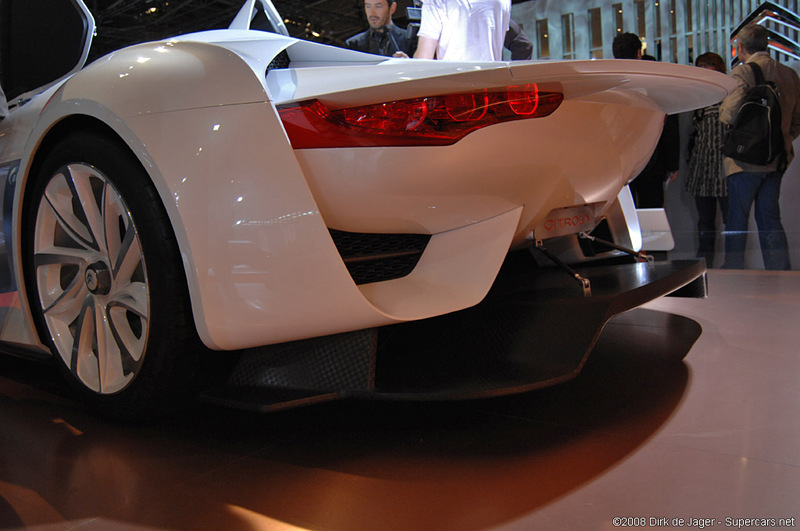 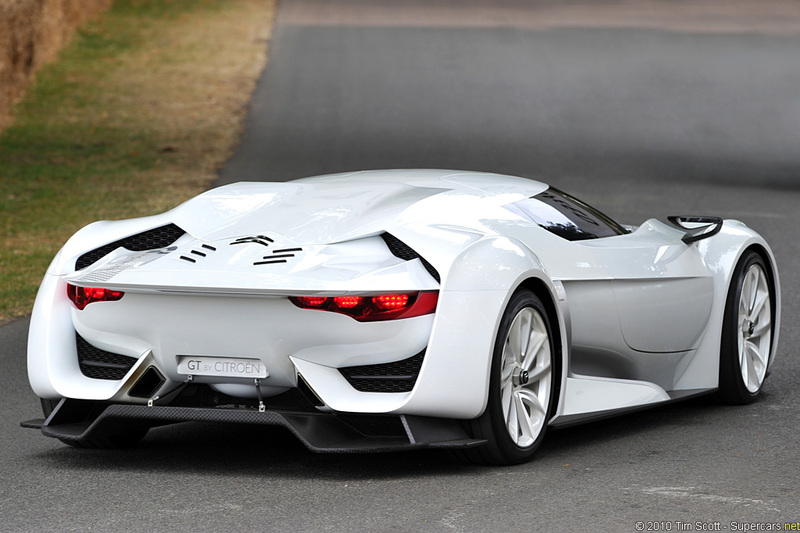 The rear end is oversized, made exaggeratedly long in order to create an effect of retinal persistence. 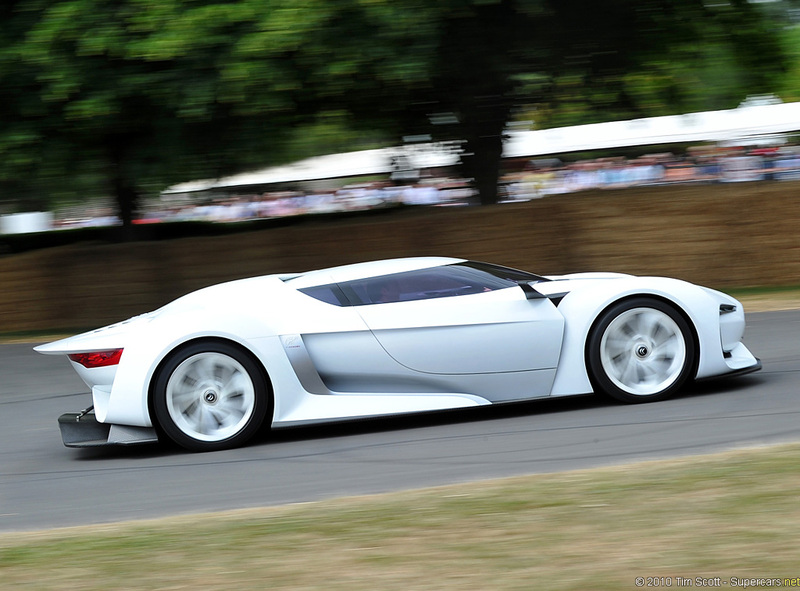 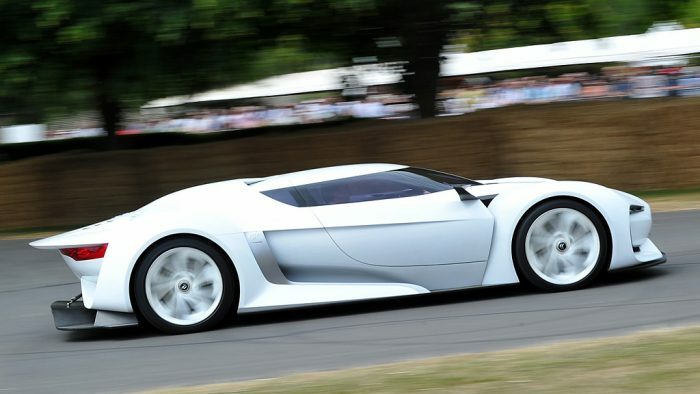 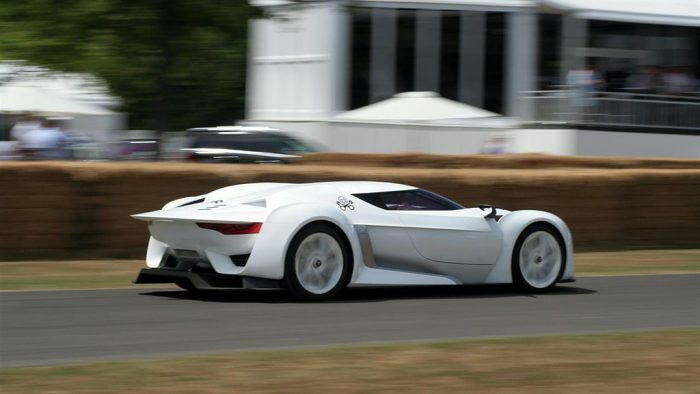 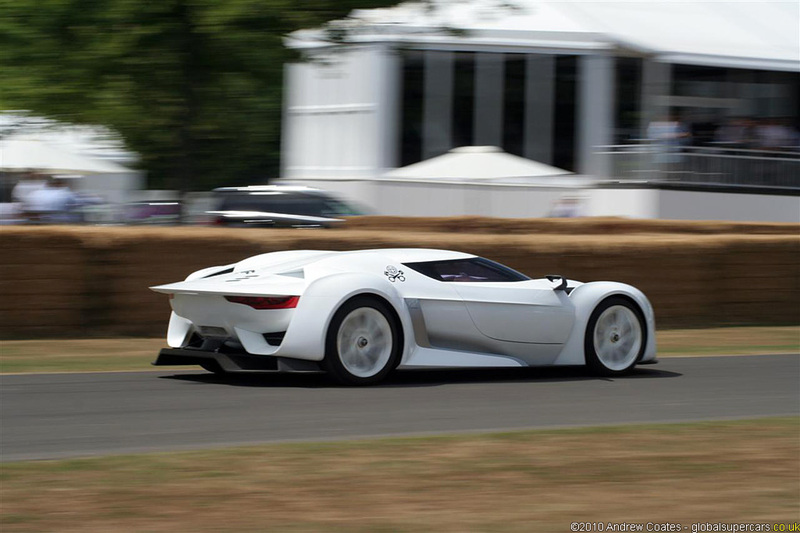 The idea is to make the concept car even faster visually. 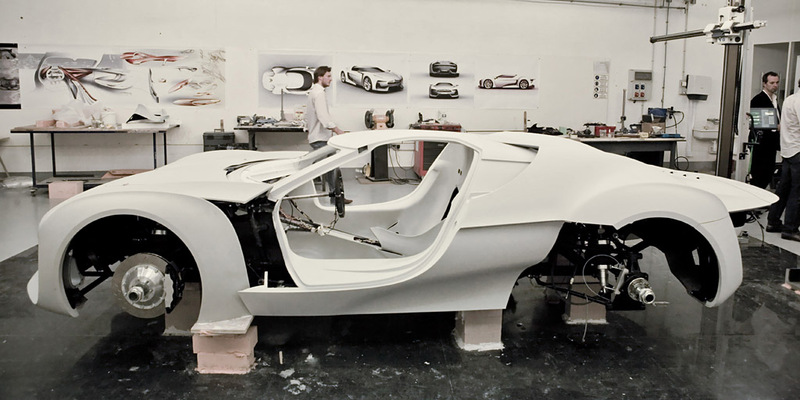 The white-to-grey gradation on the body side further underlines this impression of continuous movement. 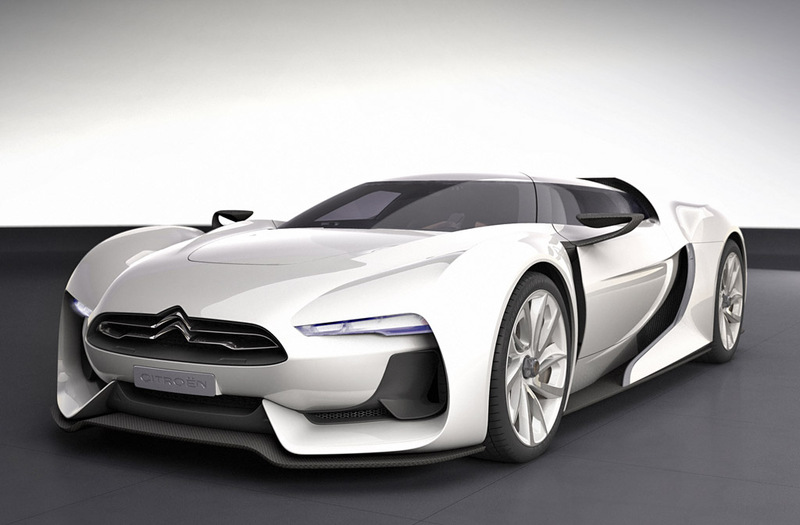 The determined look of the front end is enhanced by wide air intakes and clear-cut horizontal headlamps. 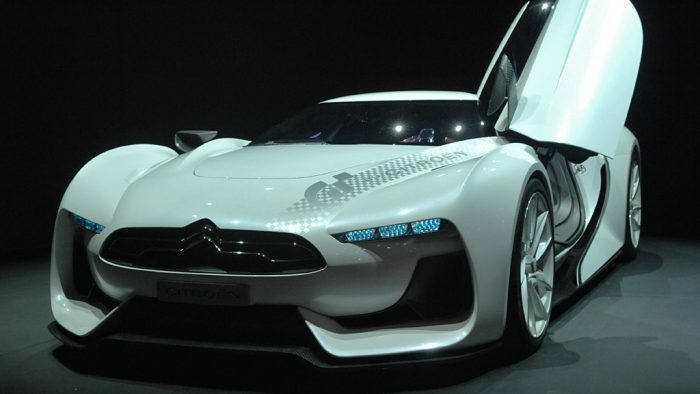 The headlamps feature penetrating blue LEDs in order to light the road effectively and keep rivals at a respectful distance! 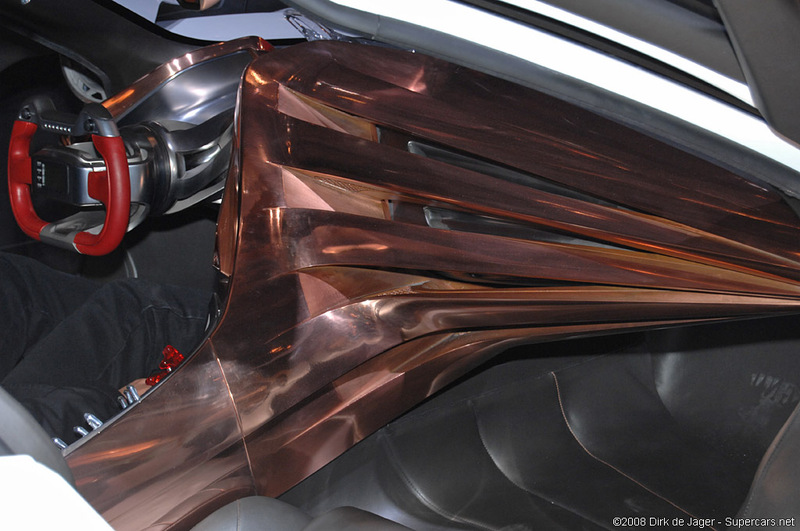 The chrome chevrons on the smooth bonnet express the Marque’s identity. 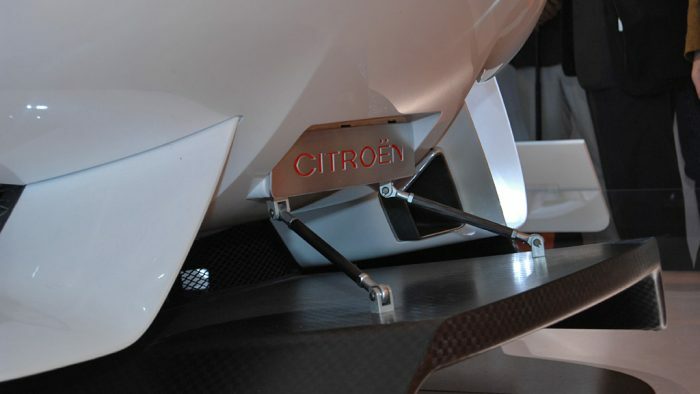 The carbon rearview mirrors on their finely profiled supports appear to be suspended as if to cleave the air, giving GTbyCITROËN an excellent on-road stance. 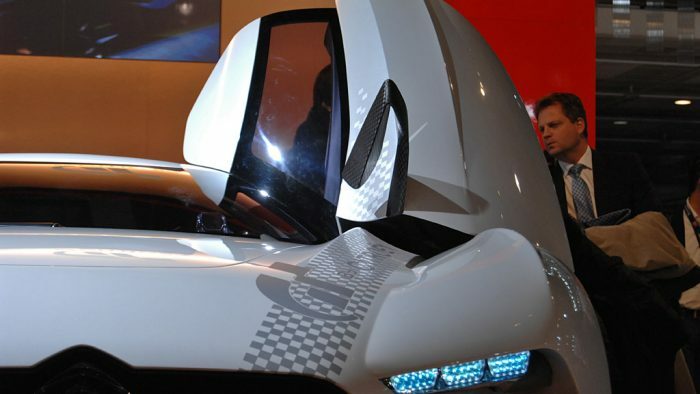 The large wraparound windscreen flows seamlessly into the roof and on into the rear mobile airfoil with its exaggeratedly long shape. 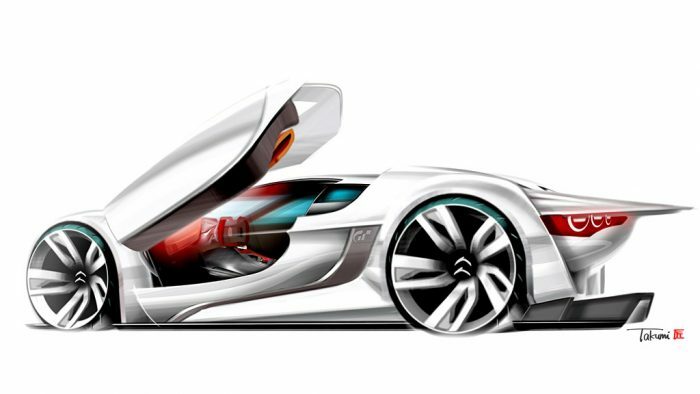 The fast-flowing lines create the impression of a car in perpetual movement. 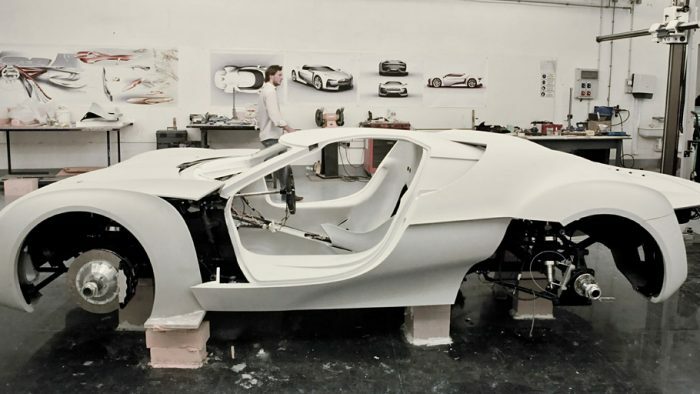 The whole body expresses performance and continuous movement. 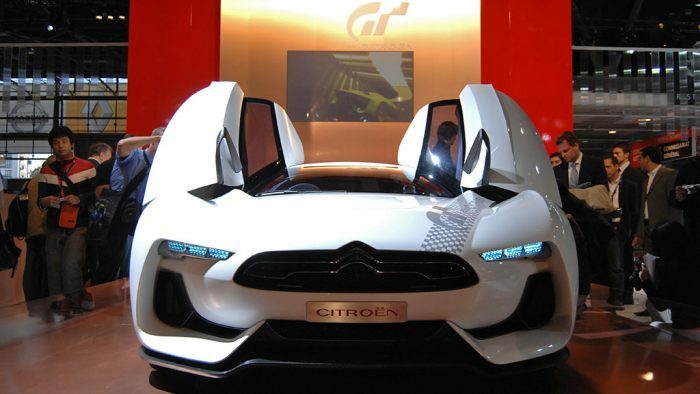 Looking beyond the spectacular visual effect, the gullwing opening of the two doors gives GTbyCITROËN a level of accessibility rarely seen on this type of vehicle. 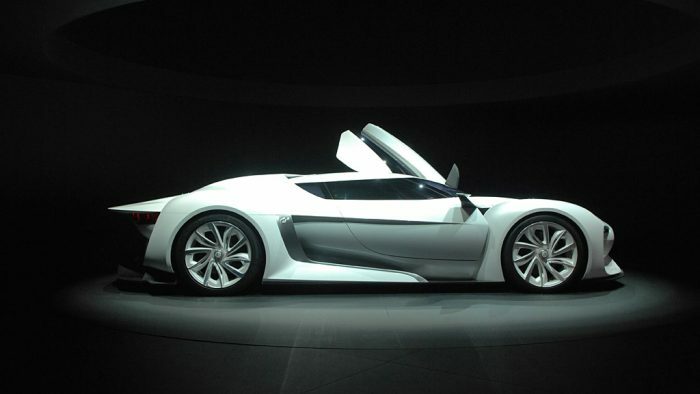 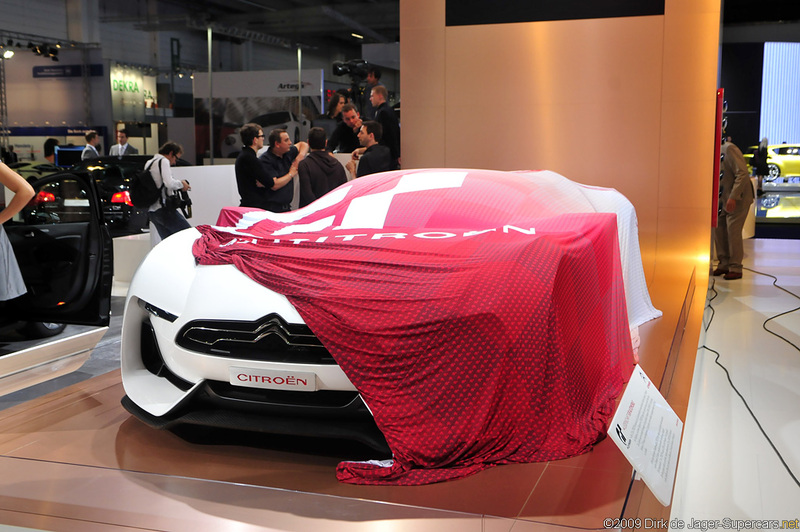 The cabin of GTbyCITROËN, designed to seat two adults, expresses the grand touring vision behind this show-car. 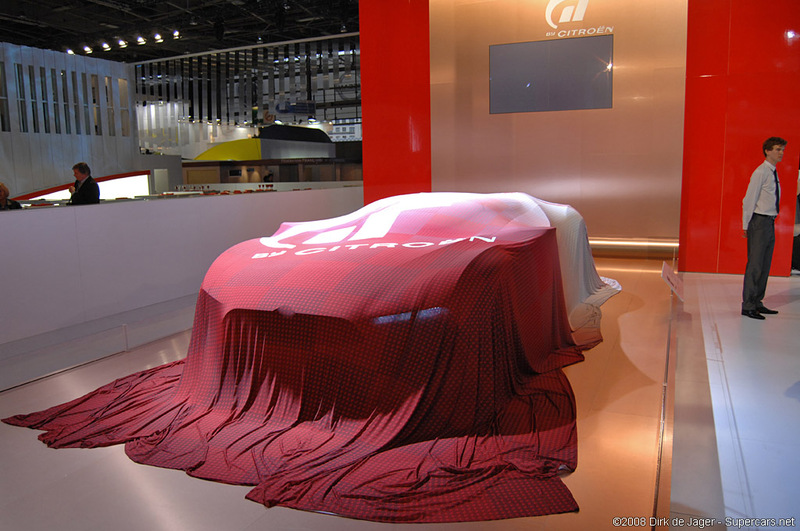 The on-board ambience allies premium, extensively worked materials with a more high-tech effect for the driving position. 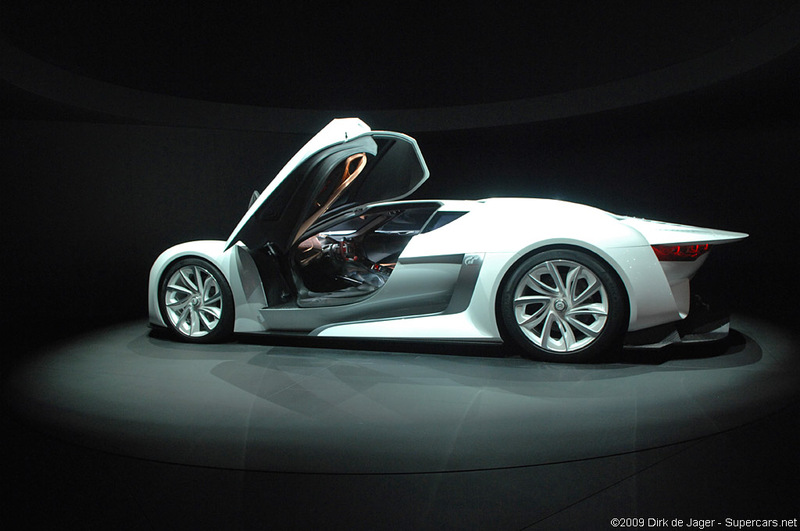 The layout of the low driving position was dictated by driving pleasure. 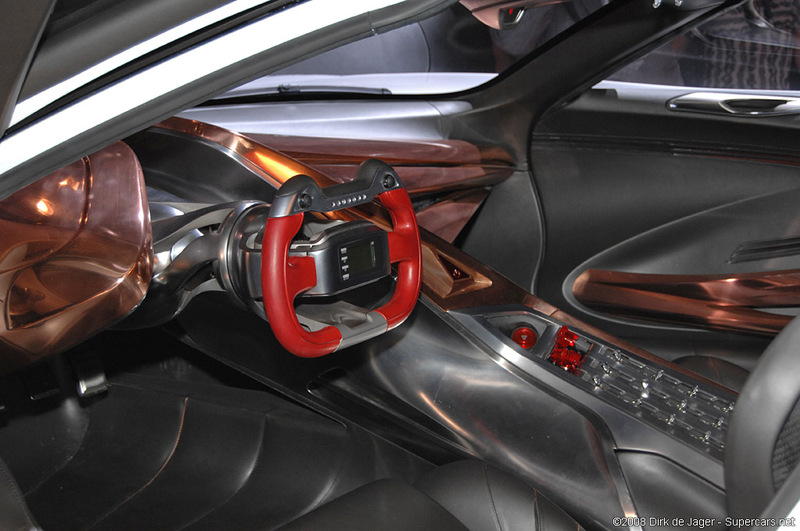 The aim is for the driver to be able to concentrate on the road, assisted by a head-up display clearly displaying driving information. 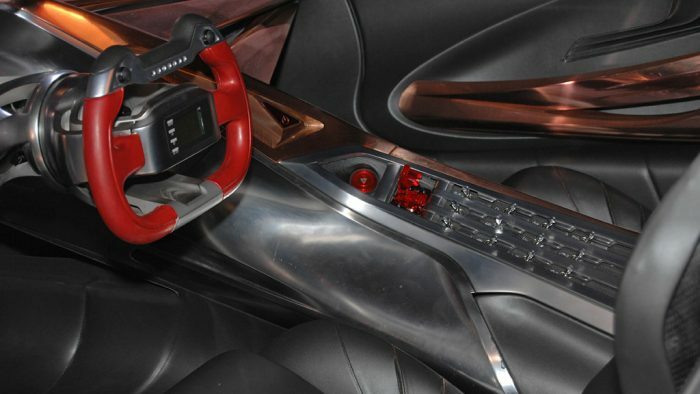 The dashboard, with its clean uncluttered design, flows into the receding lines of an imposing copper sculpture. 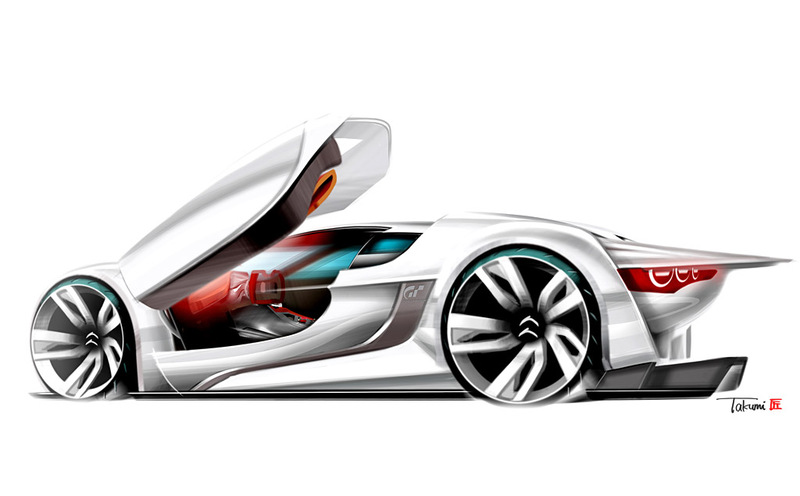 The thrusting modern lines of the sculpture become the central tunnel of the vehicle, illustrating the power of GTbyCITROËN and appearing to catalyse its strength. 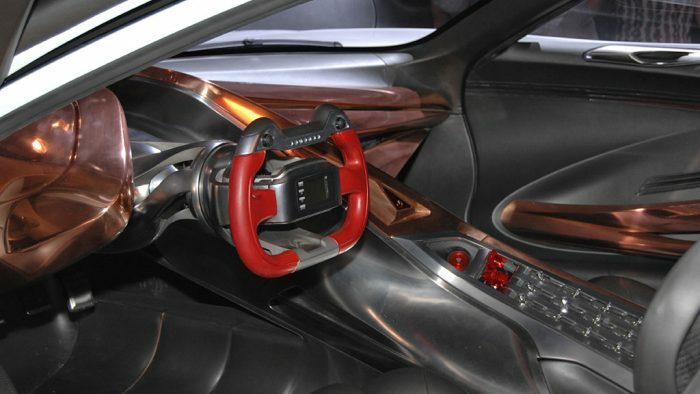 Created in a twist of this same copper sculpture, the leather-and-steel steering wheel also reflects the sporting spirit of the cabin. 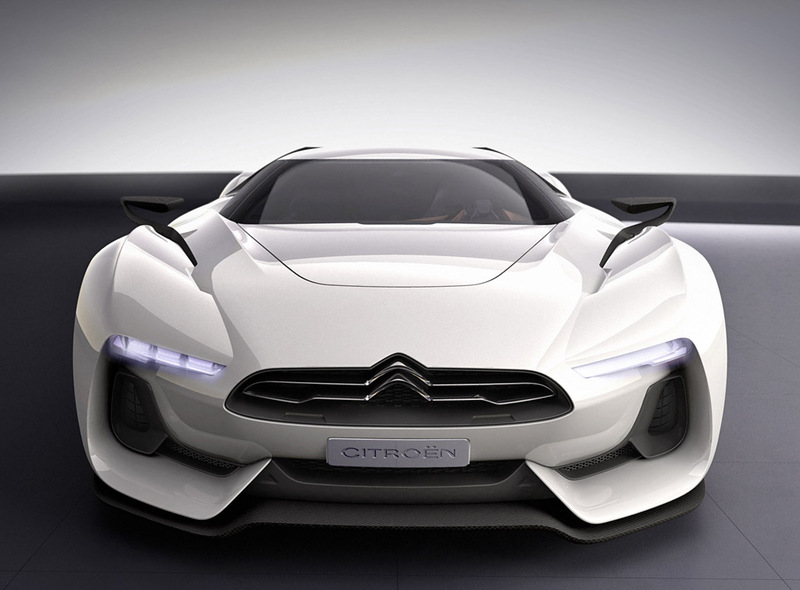 To promote maximum concentration, the driver of GTbyCITROËN has a head-up display for driving information. 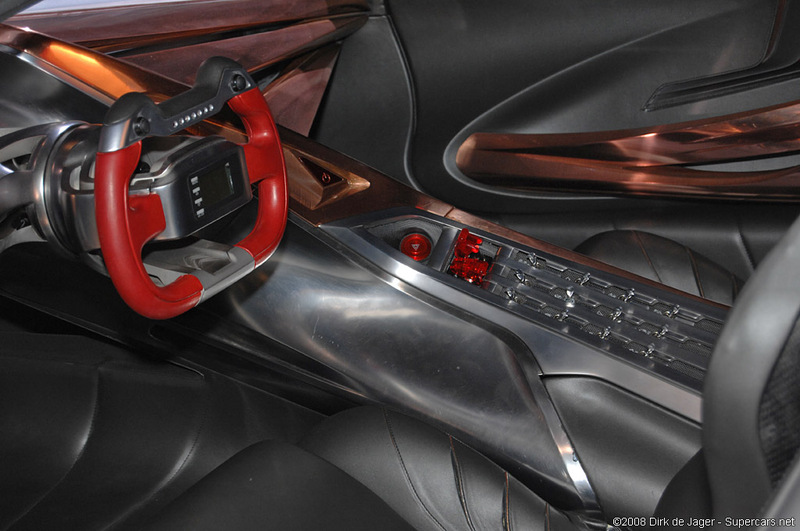 Using red LEDs, this system projects key driving information – such as speed and navigation data – onto the windscreen in the driver’s direct line of vision. 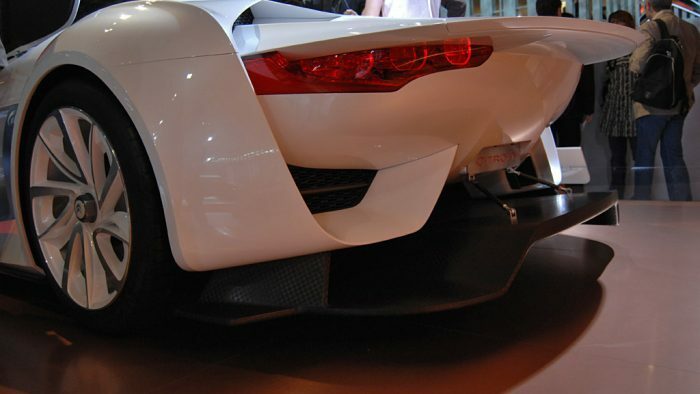 Looking beyond its taut, dynamic lines, this racing car features innovative equipment such as enlarged air intakes at the front, a flat underside, and a mobile spoiler and air diffuser at the rear. 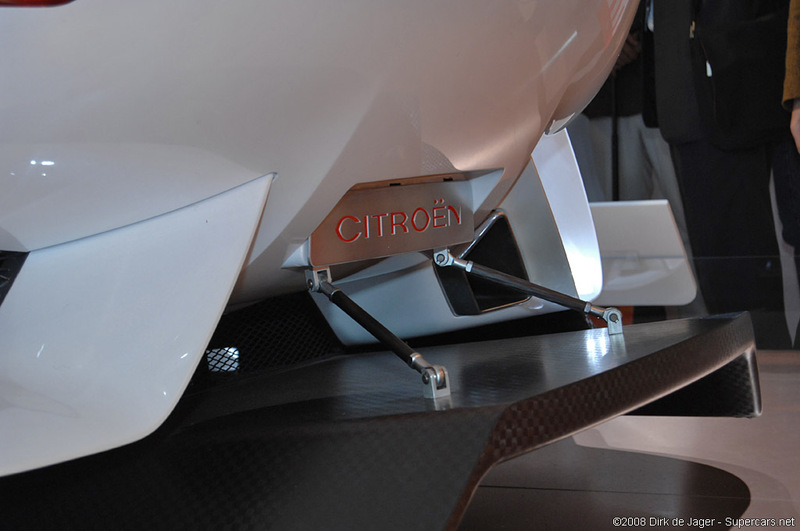 All these features play an active role in reducing lift and – above all – drag, to pin the car to the ground. 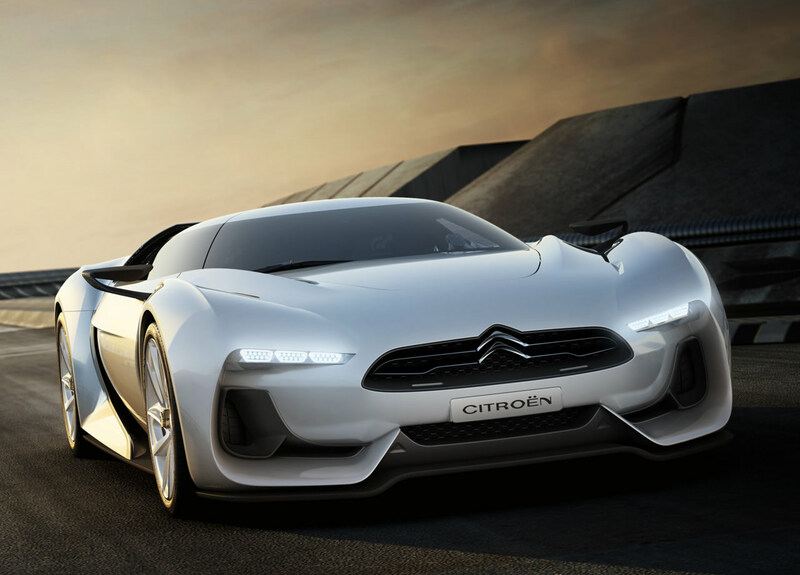 With its flowing lines, original architecture and its use – in the game – of what is potentially the best environmental technology, GTbyCITROËN embodies the sporting spirit as seen by Citroën and underlines the Marque’s ambitions to meet new challenges.